Sign Up for free to save time shopping Pat Pen's wholesale products on LeafLink. 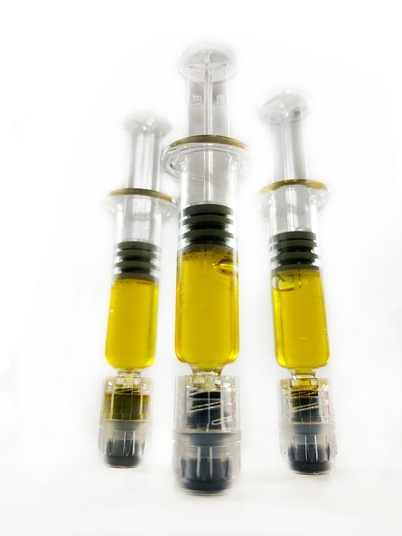 Our goal is to provide Colorado with only the highest quality CO2 extracted cannabis oil. 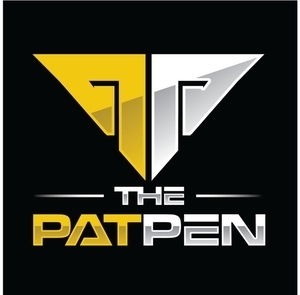 The Pat Pen's experienced team of extractors work 365 days a year to ensure that we are constantly and consistently producing the clearest, purest oil on the market. Not only do we produce great oil, but we also pride ourselves in having the best customer service around. Check out our products and see what Pat can do for you! 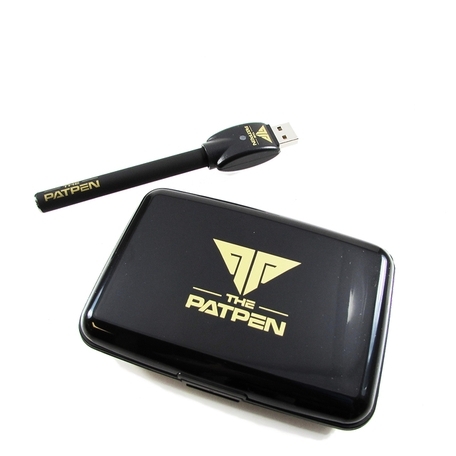 The vaporizer cartridge is our flagship product here at Pat Pen. For good reason, too. We do it right. This is where it all began for our team, and it continues to provide the greatest vape pen available to our customers since day one. We have come a long way since then and we continue to innovate daily. While our competitors cut their products with thinning agents like polyethylene glycol (P.E.G.) 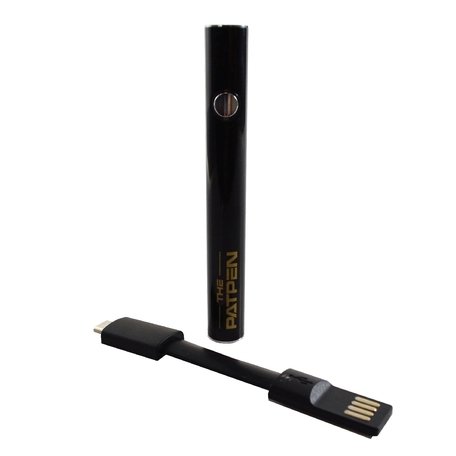 and coconut oil, we at Pat Pen offer a purity pledge to our customers, simply meaning our vaporizer pens come to you as 100% CO2 hash oil with terpenes added to enhance the vapor and aid in its mind-bending effects. Many strain offerings are on deck and have been distributed throughout Colorado. Introducing our new adjustable-airflow cartridge. With three different airflow options, this pen provides a customizable experience for all users. 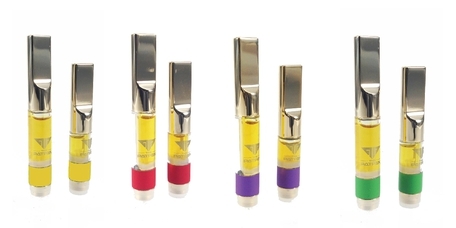 These high-quality cartridges contain only the finest CO2 extracted, distillate cannabis oil. 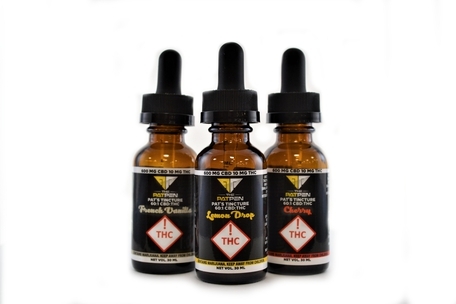 Our delicious tinctures also come in a 60 : 1 CBD : THC ratio. Each dropper contains 20MG of CBD and .33MG of THC. ** WILL BE AVAILABLE JANUARY 1ST, 2019- Preorder today! Our ready-to-use one gram applicators come ready to rock 'n roll straight out of the package. 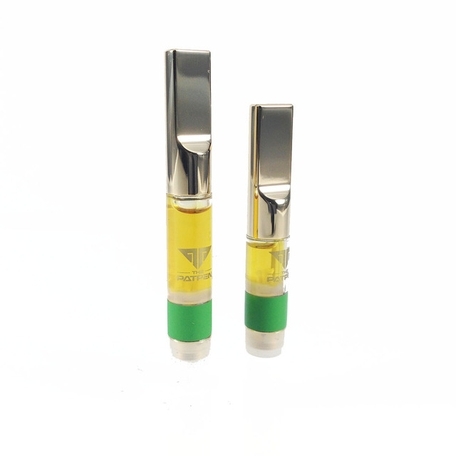 We offer the same fully decarboxylated oil that goes into our line of products in a convenient applicator. This means the oil is fully activated and ready to ingest. Our hash oil applicators can be utilized in a variety of ways. Some of our favorite uses here at Pat Pen include: adding it to your morning coffee, infusing your own topical remedies, homemade baked goods, a quick dab, or simply topping a bowl of your favorite flower. 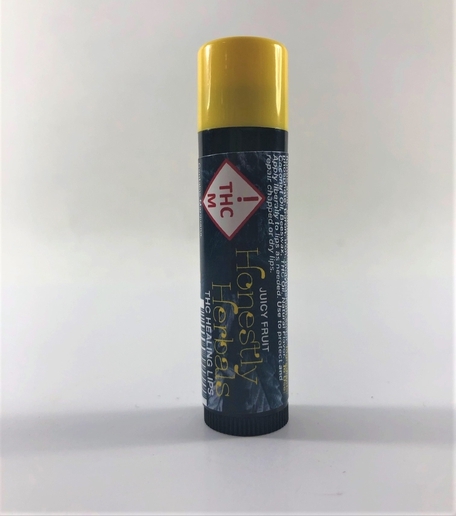 Honestly Herbals line has expanded into making Healing Lips. 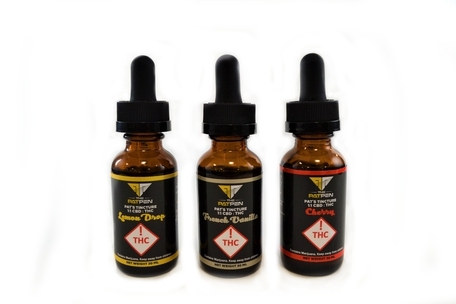 Healing Lips comes in four flavors, Natural (silver cap), Hempseed (gold cap), Juicy Fruit (yellow cap), and Strawberry (red cap). Each flavor can now be purchased in individual units! 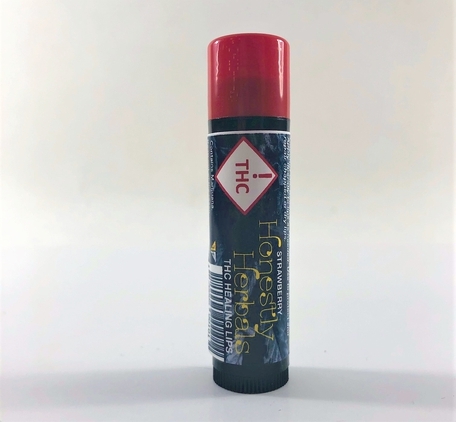 Don't miss out on the best THC infused lip balm on the market. 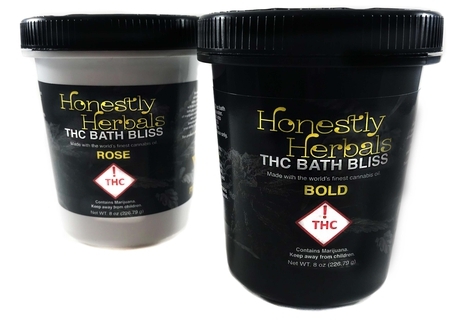 Honestly Herbals THC Bath Bliss combines cannabis oil and various essential oils to create a deeply relaxing and calming bath time experience. Honestly Herbals THC Painstick is made with 100% natural ingredients making it exceptionally rich in vitamins and omega acids that are great for your skin. 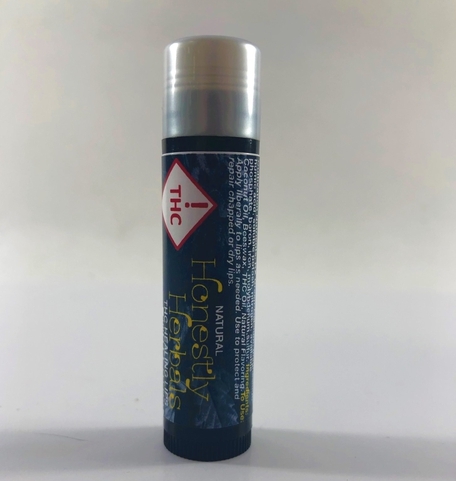 This product is non-psychoactive, the CO2 cannabis oil in this stick makes for a powerful pain reliever. 100mg is packed in this 2.5 ounce container. The Triple Strength Painstick has three times the pain relief power than the original Honestly Herbals THC Painstick. Natural ingredients combine into a convenient tube to provide you with powerful pain relief on demand. Each flavor can now be purchased in individual units! Honestly Herbals THC Painstick is made with 100% natural ingredients making it exceptionally rich in vitamins and omega acids that are great for your skin. 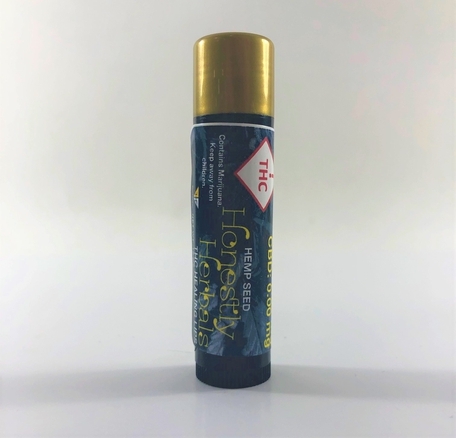 This product is non-psychoactive, The CO2 cannabis oil in this stick makes for a powerful pain reliever. Charge your new Adjustable Airflow 500mg Pat Pen on the go- anywhere there is a USB port, such as your phone charger or your computer.